Deng Yan is an artist and a curator. "The Mystery of Simple images - Photography, Imaging, Technology, New Media". The exhibition aimed to explore the changes in the function and value of contemporary photographic art as a result of the rapid development of New image capture devices and new image social ecology with cross• disciplinary multimedia presentations of photographic art, especially the influence of photography enjoyed as important art media on other fields and its potential of contemporary social values which transcends the visual arts category. Than 80 pieces of famous artists, designers, photographers, theatre directors, film directors, space meteorologists, poets, immunocytology experts, and graphic imaging scientists, technology philosophers, and 3D photo modelers. The exhibition has been well received by experts in related fields at Home and abroad. There were 25 speakers at the internatIonal seminar and more than 200 experts at the conference. The second theme was “The Mystery of Simple images—If Art Can Come Again”, which was exhibited as the 17th” LIshul International Photography Festival” theme exhibition from November lSth,2017 to December 2Sth,2017. The exhibition attempted to explore how the imagery of the Information Age, which was regarded as a kind of art, would construct a new independent art context, and how we should interpret the aesthetic relationship between contemporary visual thoughts and traditional photographic imaging in a new cultural context. This exhibition is the third session of the Mystery of Simple images Series. 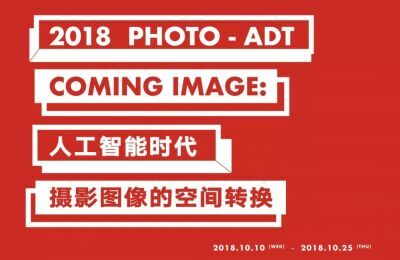 Exhibition, which has been supported by the National Art Foundation.The theme is “The Mystery of Simple images—Space Conversion of Photographic Images in Artificial IntelLigence Age”. This is another extended discussion following the themes of the Last two exhibltions.Tho exhibition will be held at Tsinghua University, Hebei University of Science and Technology, and Tianjin Art Museum.